Inspiring hope in Hidden Springs through home rehabilitation, educational assistance, recreational programs, and spiritual guidance + mentorship. 24% of the houses in the area are habitable. 60% do not have electricity. The majority do not have access to potable running water. 100% of the people are created in the image of God. Because of the Bennett Freeze many homes are in need of water, electricity, and/or improvement. According to an article published by Partnership with Native Americans, the average high school graduation rate is 32%. Your financial support is vital to our ministry being more effective as it allows us to focus our time and energy on the people in the community instead of driving long distances to available employment. Your prayers are not only requested, they are necessary. We know that the work we are doing can only be effective if God is in it. We would love to have you as part of our regular prayer team. We have teams from churches regularly come to help us with our running youth programs or helping with a building project. If your church team, youth group, etc would like to serve, please contact us! Bill & Grace Manning and their four daughters moved to Hidden Springs in July of 2018 to live in community with the people they’ve fallen in love with over the past 20ish years. Our goal is to be an organization that loves its neighbors, seeks their good, and inspires hope in the community through home rehabilitation, educational assistance, recreational programs, and spiritual guidance + mentorship. 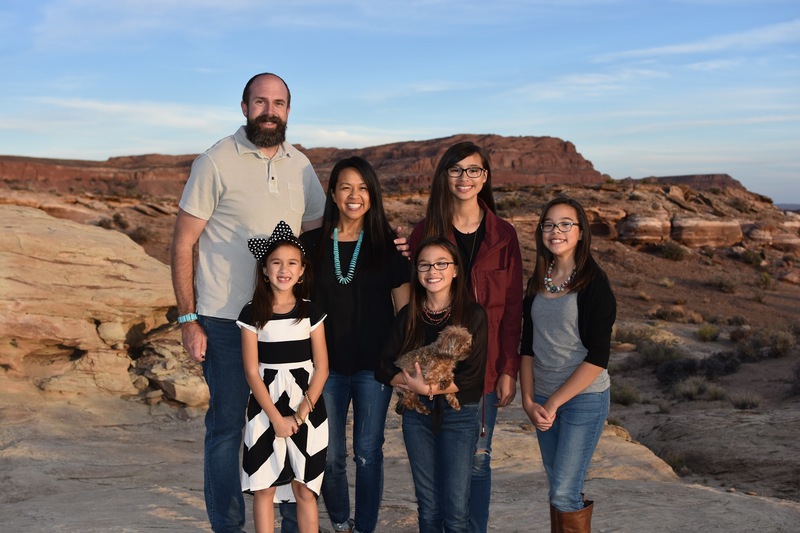 Hidden Springs Mission is a nonprofit that has a heart for the Navajo people.